Why would anyone want to work in podiatry? Why would anyone want work in podiatry? What would possibly make someone want to be a podiatrist ? You can be self employed: This is a choice that is increasingly being denied to other health care providers such as optometrists and even Family Doctors. Big Business controls a lot of health practices. Consider how often you see an independent optometrist these days – can they compete on price with the multinational chains? Legal Issues: In Australia (unlike the USA where things are very different), podiatrists very, very rarely face litigation. The nature of podiatry practice does not lend itself to accidentally harming one’s patients. Also, you never have to give your patients the bad news that their condition will be terminal. Working Hours: Emergency call outs are very unlikely. This is good news for those among us who like their sleep uninterrupted. Financial Reward: Whilst it is true that podiatry doesn’t pay as well as being a doctor or dentist, the remuneration is generally commensurate with other allied health providers. Instant Gratification: One of the best things about working as a podiatrist is the instant gratification! People come in with pain and leave happy. You will see a plethora of bite-sized jobs each day, many with a cure you can provide immediately. From someone that has worked with unanimously grumpy customers in a past career, believe me when I tell you, it makes the day much more pleasant when people leave you smiling. Self – Determination: Podiatry allows a practitioner the power to determine their own course of action for the benefit of their patients. This is unlike a career in nursing for instance where one acts under the direction of a doctor. Clear Job roles: The only people who can work as a podiatrist are those with a podiatry degree. The clear roles that this defines relieves the requirement to find your ‘niche’ after university – as someone with a more generic Bachelor of Science degree might need to do. Do you like to travel? There are many places in the world that do not train their own podiatrists including Tasmania, the Northern Territory, all of Asia and all of the Middle East. If you want to see the world, Australian podiatrists can work in any Commonwealth country and are particularly in demand in Singapore, Egypt, United Arab Emirates and other far flung fields. Variety: In any given day, a podiatrist will see a great range of complaints. There may be an ingrown toenail or two, a painful corn, a sports injury, some back pain and at least a couple of painful heels. The key to being a good podiatrist is to be a good problem solver. Every patient is an individual with a unique complaint requiring a well considered solution. 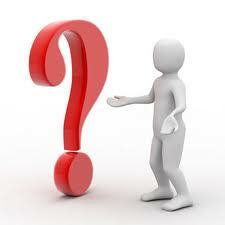 Use this link to return to Podiatry FAQs Blog.